We-Ko-Pa Golf Club’s Cholla course in Fort McDowell, Arizona, is back and better than ever after a $1.8 million renovation project — an update to vital elements of an award-winning golf experience that invariably require attention with time. Before the renovation, the fairway on the 605-yard, par-5 8th hole narrowed as it plunged toward a deep, dry desert arroyo that runs across the front of the green leaving a small target for a second-shot layup. The landing area has been widened and part of the arroyo was grassed to create a more realistic risk/reward scenario for golfers. Other enhancements include replacement of tifdwarf bermudagrass on all 18 greens with a faster-rolling MiniVerde variety of ultra dwarf. New sand and drainage for all bunkers to improves playability and prevents pooling. New sprinkler heads, valves and field controllers were installed to allow for a more accurate and efficient watering of the golf course. Roughly eight percent, or six acres, of existing turf was removed without impacting playability and aesthetics. Native plants consistent with the surrounding Sonoran Desert will replace the turf. “The project also helps us to be better stewards of the land in addition to a recognizable savings in electricity, labor, fuel, equipment and most importantly – water,” said Barr. Owned and operated by the Fort McDowell Yavapai Nation, We-Ko-Pa Golf Club is a 36-hole, daily fee golf facility featuring the original Scott Miller-designed Cholla course, which debuted in 2001. 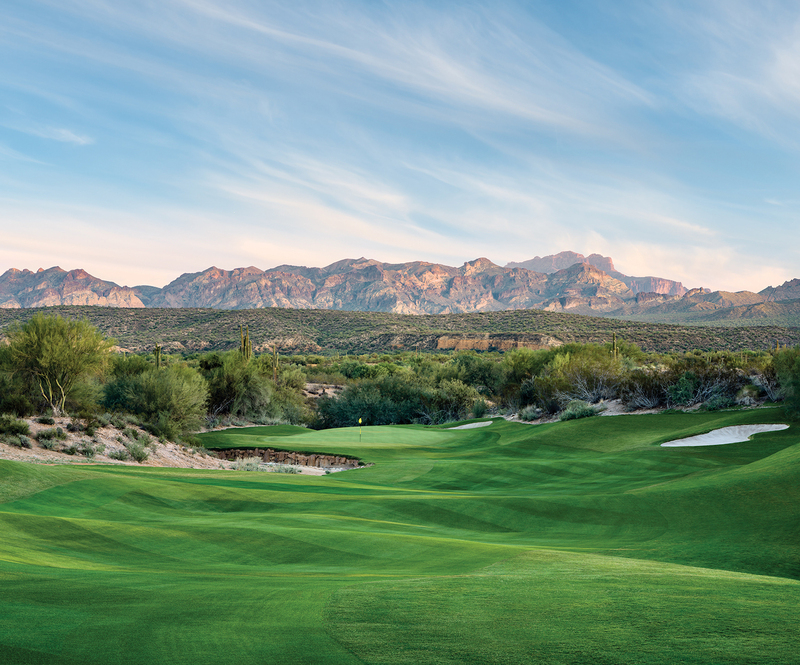 The Saguaro course, designed by Bill Coore and Ben Crenshaw, opened for play in 2006. Both courses are perennial favorites among industry-leading golf media including Golf Tips. Their popularity stems from the combination of solid golf course design surrounded by nothing but Sonoran Desert. The main clubhouse features the We-Ko-Pa Grille, recently renovated locker facilities and well-appointed golf shop. Just across the sprawling practice facility lies a smaller full-service clubhouse which serves the Saguaro course.